Check out these Delicious Christmas Morning Breakfast Ideas that will keep your family happy on the most exciting and memorable morning of the year. From sweet to savory, there’s something for everyone. This week on Good Day Rochester I stopped by to share some of my favorite ideas for Christmas Morning Breakfast with these easy make-ahead breakfast options from the American Diabetes Association. As featured in the video, grab the recipe for the Light & Fluffy Spinach and Cheese Strata here and the recipe for the French Toast Casserole with Honey Glazed Fruit here. With only two weeks until Christmas, it is time to start thinking about what you will serve for Christmas morning breakfast! On the most exciting, busy, and memorable morning of the year you, of course, want to serve a fantastic breakfast your family will love – but what are you going to make? I’ve got you covered with these amazingly delicious, dietitian approved Christmas Morning Breakfast Ideas. My amazing dietitian colleagues are sharing some of their favorite Christmas Morning Breakfast Ideas and, more importantly, why they love them, so grab a cup of Christmas coffee and find the recipe that is perfect for you. Delicious Christmas morning breakfast ideas that will satisfy even the sweetest tooth in your family. “This Eggnog French Toast is sweet, with that slightly crisp caramelized sugar that happens when the bread is cooked just right. It’s indulgent, thanks to the eggnog and a creamy greek yogurt whip on top”. “Who wouldn’t want to wake up to this bright and cheery Cranberry Orange Dutch Baby?! My family loves it because it’s simply delicious, but beyond that, it’s a perfect family meal since we can all sit to eat it together, unlike when I cook pancakes and have to make them to order”. “Made with plant-based ingredients, this nutritious and delicious Vegan Coconut Banana Bread topped with a warm Walnut Streusel is a perfect choice for Christmas morning breakfast or brunch”. I’ve been making this coffee cake since my grown-up children were littles. Apples and cranberries are iconic in New England and seeing them studded throughout this delicious, moist cake always brings smiles. This is my plant-based version of the original recipe. 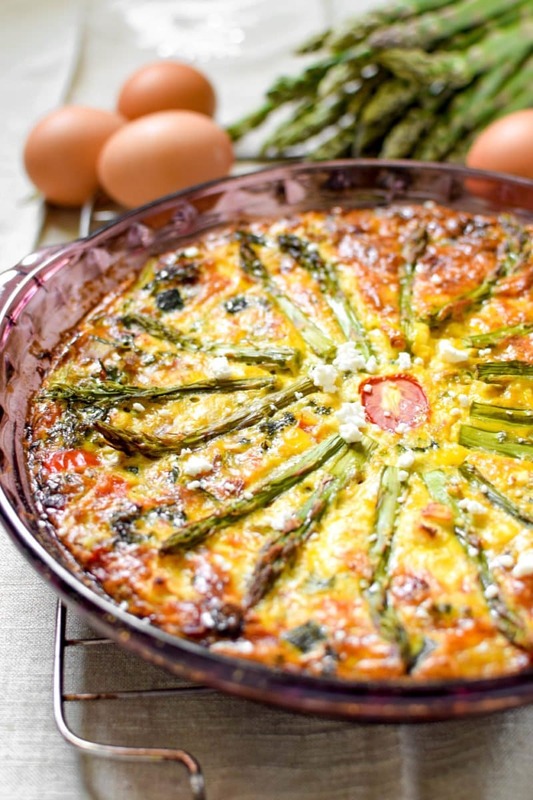 “The best part about this recipe is that you can use ANY vegetables that you like. I just happened to use whatever I had left in my fridge that I wanted to use up before Christmas dinner”. “The combination of pesto, sundried tomatoes, prosciutto and cheese makes these rolls taste like a gourmet breakfast pizza. If you’re having a group for brunch, double or triple this recipe – they’re the perfect 3-bite savory mini meal that pairs perfectly with a breakfast salad and some fruit”. 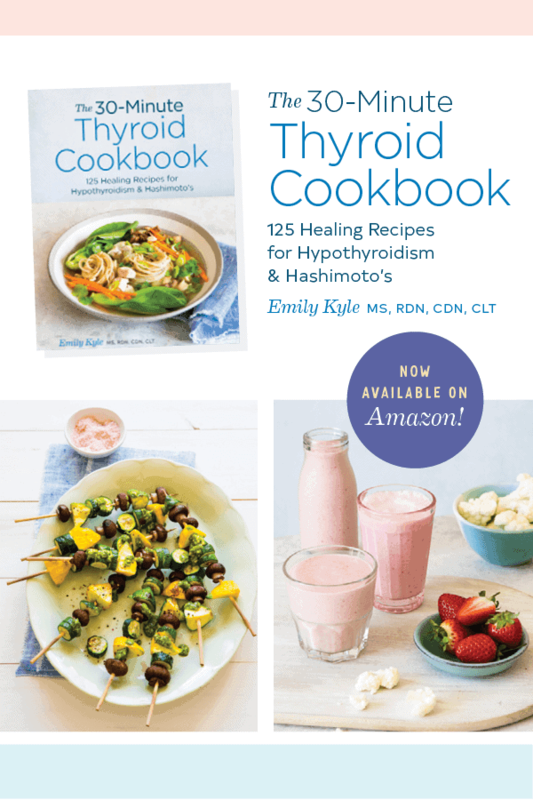 I am thrilled to announce the arrival of my new cookbook The 30-Minute Thyroid Cookbook: 125 Healing Recipes for Hypothyroidism and Hashimoto’s which is now available for preorder on Amazon and will officially be released on Christmas Day, December 25th, 2018. Now that is a lot of delicious looking breakfast recipes. Whatever you decide to make for your family on Christmas morning, I hope you find yourself enjoying your food as stress-free as possible! Have a wonderful holiday and enjoy the time you have with your family. Yes, we do a big brunch, it’s one of my favorite things about Christmas Day! I’m thinking Eggnog French Toast for me! I will have to try more than one of these! Oh my gosh, where do I even start?! Great list, Emily! Everything looks so good! What to start with first?! Christmas morning breakfast is just as important as the afternoon feast. Love these ideas! I hope you’re able to decide on one before the big day! 2 weeks now! How do I choose just one breakfast option? I love all of these ideas for Christmas, they all sound so tasty! I want to make all of these recipes!! Great ideas here Emily! I love having something yummy prepared ahead of time that easy to set out on Christmas morning! Merry Christmas to you and your beautiful family!